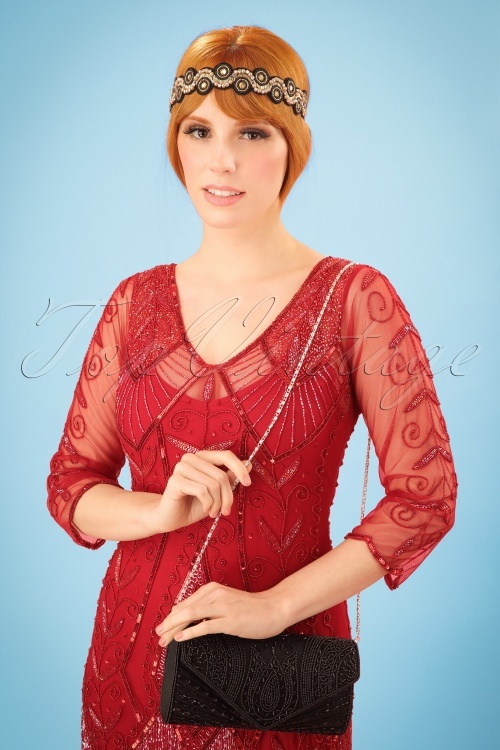 ''Vintage glamour at its best!'' 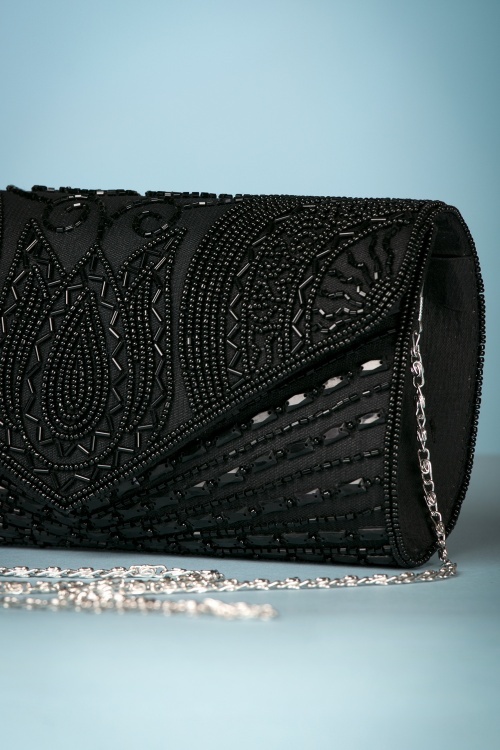 That is the perfect description of this 20s Beatrice Beaded Clutch in Black! 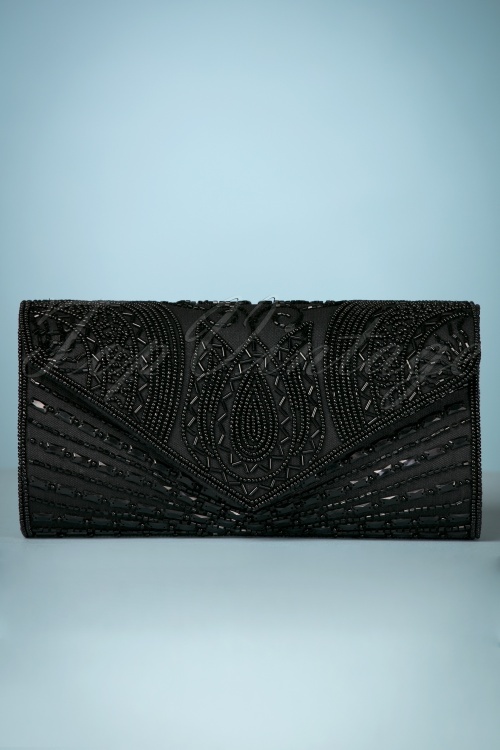 The embellishments on this clutch are breathtakingly beautiful! 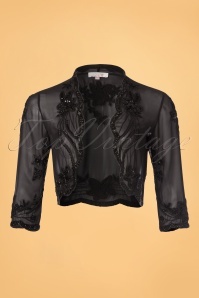 Whether it's a gala or another special occasion... this glamourous beauty will be your perfect companion! 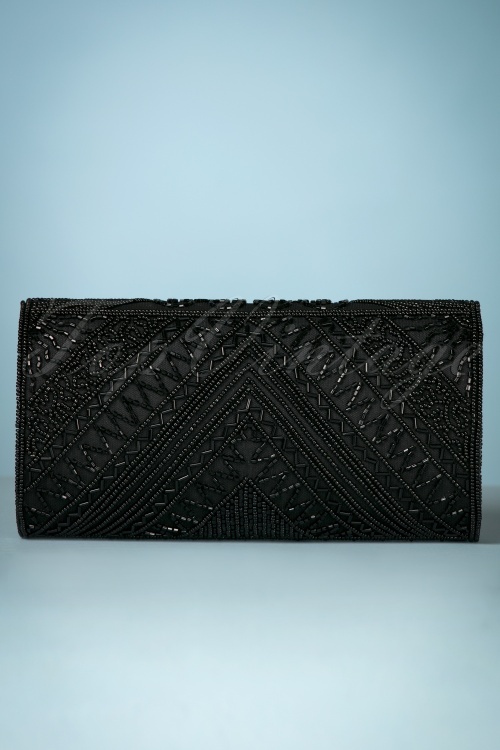 She is made of a black fabric embellished with glistening beads, sequins and crystals in art-deco design. 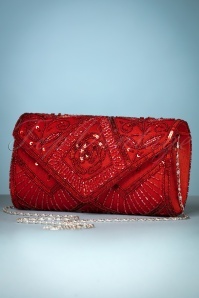 The silver toned chain strap allows you to playfully wear her over your shoulders. 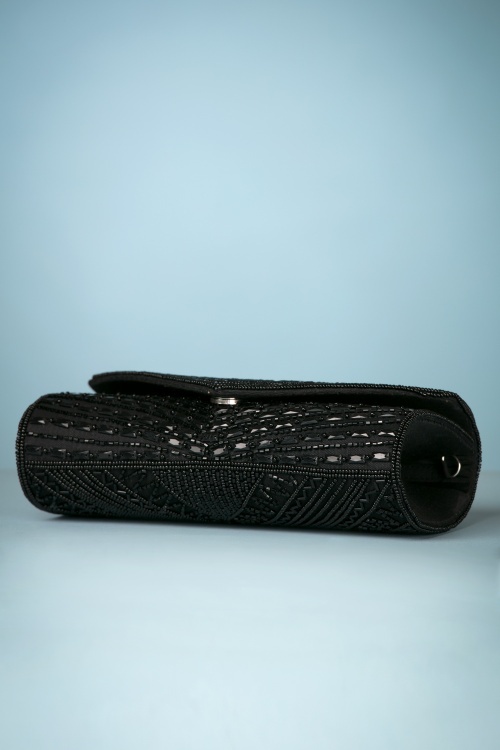 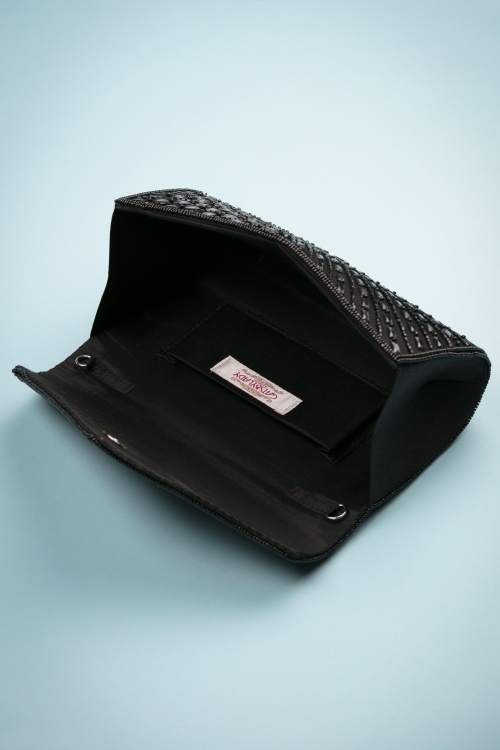 You don't need a man on your arm to shine, all you need is this clutch!